The ongoing relationship between CBS and TBS will be refined in 2014 to accommodate a plan to split and rotate coverage of the Final Four and National Championship for NCAA basketball games. In 2010, Turner Sports, which operates TBS, made an agreement with CBS for a 14 year partnership with the NCAA to broadcast the NCAA basketball tournaments through 2024. The 2013 NCAA tourney was the most watched basketball finals in 19 years and the coverage was smooth and complete. The TBS-CBS association seems to work. The new agreement stipulates that TBS will televise the two national semifinal games, while CBS will televise the actual national championship game in both 2014 and 2015. 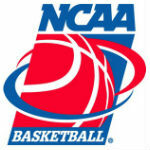 The Elite Eight and Sweet Sixteen games will also be split between the two networks. In 2016 the rotation begins when CBS will air the two national semifinal games and TBS will get to broadcast the championship game. CBS gets it again in 2017. Since 2010 CBS Sports and Turner Sports has shared the first four rounds of the tournament, with CBS, TBS, TNT and TruTV splitting up the round of 64 and the round of 32. Before the agreement, CBS had exclusive rights to the whole tournament since 1991.